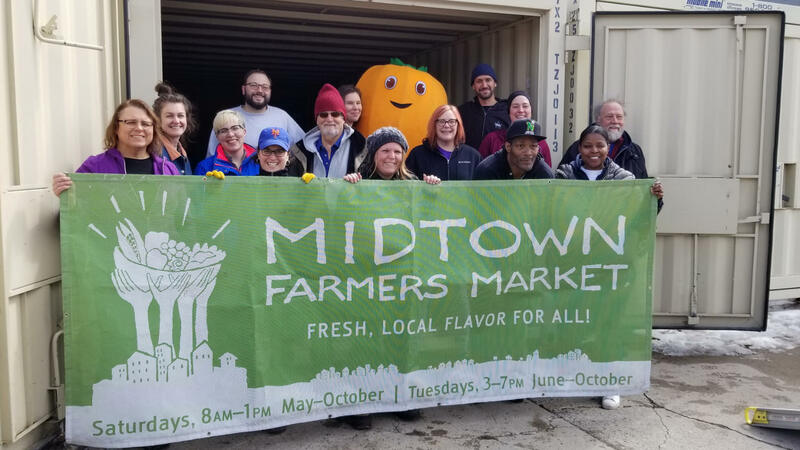 Many volunteers helped move the Midtown Farmers Market supplies into a storage pod at the new interim location, Moon Palace Books. Volunteers celebrated after the work was completed at Geek Love Cafe. Job well done.